Years ago at an auction I nearly bought a picture by Laurence Stephen Lowry. I recollect, rather hazily, that it was called, ‘The Election Meeting’. My memory is clear, however, about its contents. It showed the interior of a village hall. On the platform was a politician, making a speech. Listening to him (or perhaps not) were two old ladies and a dog. Both humour and pathos were in that painting, and I wish to this day that I had secured it. Now L.S.Lowry has the distinction of having an art gallery in Manchester named after him and dedicated to his work. His name also adorns the city’s best hotel. I have been to The Lowry to sample its delights. 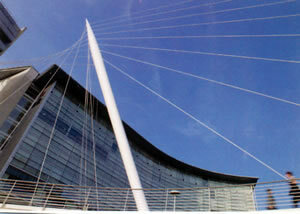 On the banks of the River Irwell in the Chapel Wharf district, next to Trinity Bridge, The Lowry proclaims its modernity with a curving, sinuous façade of clear glass. It speaks of the success of today’s Manchester with the sort of bravado we admire in the Victorian builders of so much of the earlier architectural heritage of this mighty metropolis. And the word which perhaps best sums up this hotel is: space. It is there in abundance in the huge entrance hall. 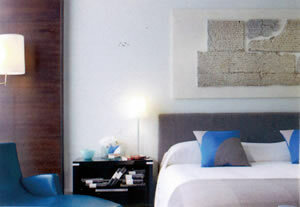 But it is also there in the extensive landings, the wide corridors and – most significantly – in the 164 bedrooms. My own billet, number 527 on the 5th floor, was only a standard room (called a ‘Deluxe City View Double’ - £385 a night for two, breakfast extra), but its sense of spaciousness was highly impressive. Partly, this was because of the light colour scheme (pale turquoise, set off with fittings of dark wood) and partly, it was because one whole wall of the rectangular bedroom was window glass. But it was also because the dimensions were generous. Off the entrance hall area was a walk-in wardrobe, with a private safe, opposite which was the door to the bathroom. My ablutions are always important to me, so I was pleased to find a tub of the proper size. The bathroom also possessed one wash basin, a bidet, a loo, spotlights and a reproduction of one of Mr Lowry’s pictures. Upon my arrival, I had a pot of Earl Grey (made properly with tea leaves and served with a strainer) brought to my room, so that I could relax after my journey from London. This was put onto the glass-topped coffee table, while I adjusted the air conditioning, tested the bed (which had been made wonderfully soft, in response to my forwarded request) and tried to make sense of all the technical gizmos on the writing desk. This last task did, of course, defeat me, but I think I saw enough to be able to assure those of you who are technologically-minded that your requirements are likely to be satisfied. And then, after a good soak and the usual struggle with the starched collar, it was time for dinner. 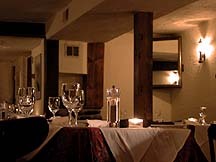 The River Restaurant is a pleasant, relaxing room, which I reached by walking through the inviting and rather elegant bar. 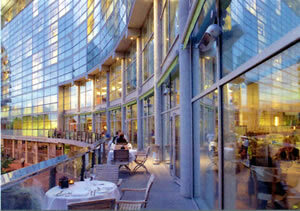 Both, of course, provide pleasing views over the river and the surrounding modern buildings. As I walked over to table number 6 in the corner (which I recommend to you), I noticed with approval the line of vases with sunflowers. Andrew, one of the waiters – smart, in his black waistcoat and apron – brought me a cushion, and I settled myself comfortably on the brown leather banquette. Before me was the large round table. On its white cloth stood decent glassware (with no name). The attentive service was orchestrated by the Restaurant Manager, Huseyn Bozkurt, a charming gentleman from Turkey. 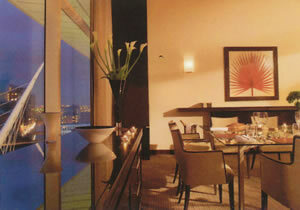 Executive Head Chef Oliver Thomas and Head Chef Michael Campbell provide a menu which is straightforward and attractive. I chose four courses from the carte and can report that the food is of excellent quality, with first rate ingredients handled with skill and intelligence. I enjoyed my dinner very much indeed. 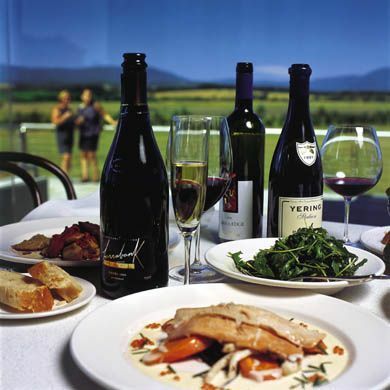 The wine list is not long, with just 108 offerings, but 18 wines are offered by the glass. Prices start at £19.50 for an Argentinian merlot and end at £600 for the 1982 Léoville Las Cases. Among the bottles of white to catch my eye were the 2008 Cloudy Bay sauvignon blanc (£60) and the 2000 Corton Charlemagne, Bonneau du Martray (£210). Unless you want to spend £350 on the 1983 Haut Brion, for your red I would stick to the New World. I felt like a bottle of champagne, and enjoyed the yeastiness and bright vanilla of the ever-reliable Perrier Jouët (£52.50). I returned to the River Restaurant for breakfast (£18.50) and tucked into some tasty smoked haddock with mushrooms and lots of hot buttered toast (brought from the kitchen) and plates of sweet blueberries and fresh pineapple from the buffet. I suppose I will always regret not buying that picture by L.S.Lowry. But now the name Lowry means something in addition to the painted matchstick Northerners. It means a happy memory of a fine hotel. 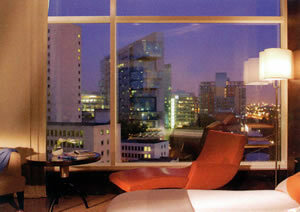 For The Lowry is exactly that: a fine hotel. 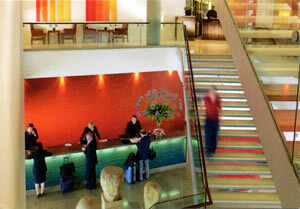 Double rooms from £385, breakfast extra.